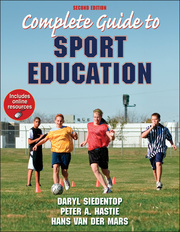 Welcome to the ancillary website for Complete Guide to Sport Education, Second Edition. Download Respondus or RTF files or files formatted for LMS use. Hundreds of full-color PowerPoint slides highlight the most important concepts from the book. assessment tools related directly to the various Sport Education learning objectives.